For the post of administrative assistant you have to write a strong resume which will meet the demands of the employer or recruiter. 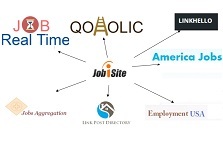 This type of resume shows the company what exactly you are looking for while keeping their goals in mind. So, your resume should made up of following points..
First of all list your full name and beneath that out your contact details like telephone number, your home address or your email address. Your objective statement defines goal of your resume. That statement set you apart from other candidates. In that you have to put stress on some of your skills experience , ability to do multitask capability to do work well in groups, address vague instructions etc. Profile consist of two or three sentences which provide the summary of the candidate such as—multi- skilled task having more than 4 years of experience, ability to supervise the work, ability to work with individuals at all levels with in the company. Use of some keywords put greater effect. Keyword examples like. 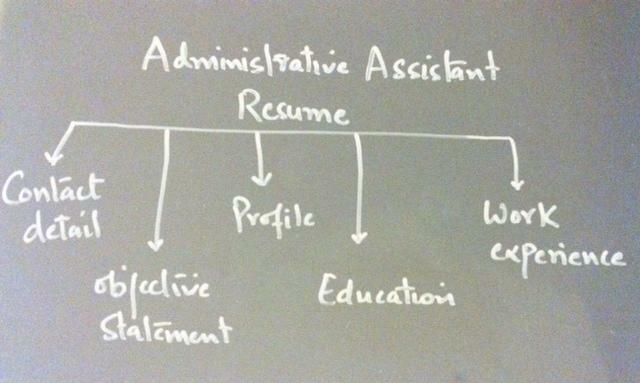 “administrative assistant” and “ organizational skills”. Making this profile will increase your chance of getting a position in the company. Always start with your most recent job. Then your education section like your subjects, educational institutions attended and your professional qualification. Identify the location of your past administrative assistant position. List your responsibilities at each of your positions with time period. Identify your projects or some task that makes you fit for the job. If you received any awards mention that also.